← "The Noctuary" cover revealed! 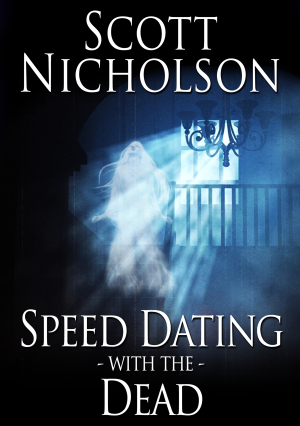 Today I’m interviewing award-winning horror author Scott Nicholson. Scott has written 12 thriller novels, 60 short stories, four comic book series and six screenplays. He’s also a freelance editor and journalist. He lives in the Appalachian Mountains of North Carolina. What first drew you to horror writing? I always found something a little dark in Dr. Seuss, or at least incredibly imaginative. I loved those Tales from the Crypt and Weird War comics with the six-page stories that always ended in a twist and several question marks. “The end–or IS IT?!! ?”) And my grandmother told those old Appalachian folk tales and ghost stories. So while my first writing, besides the little comics I used to make, was more like Ernest Hemingway and Kurt Vonnegut imitations. But then Stephen King was the biggest writer on the planet so it made sense to try to be the next Stephen King. 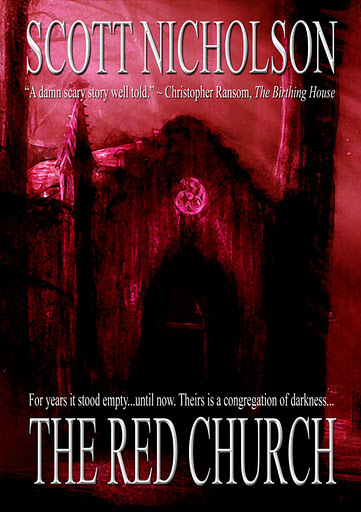 How did the idea for The Red Church come about – when did you know you had something worthy of a novel? I had written three novel manuscripts before I started The Red Church, and probably 40 or 50 short stories, so I’d figured out what I was doing by then. I had the idea from legends of a local haunted church, but it was really the main character Ronnie Day and just starting the story and remembering my own childhood that made it easy to write. It’s truly one of the biggest satisfactions of my career that the novel remains popular even 10 years later. Many of your tales are set in Appalachia – does your inspiration come solely from the environment around you? I have borrowed from local supernatural legends, and I love the magic of these ancient mountains. These are the world’s oldest mountains and I’m in the headwaters of the world’s second-oldest river, so it just feels like a lot of secrets and mysteries are here. You’ve branched out into writing comics and children’s books…how did that come about. Writing a comic/children’s book is probably a lot less cerebral than writing a novel? Well, since I started with Dr. Seuss and comics, it was natural to delve into them. Having children and listening to the odd, fresh takes on language is inspiring. They truly see with new eyes. I was an artist at one time,and although I’m not skilled enough to work professionally, I love seeing work come to life under talented hands. Screenplays too; it would be quite a challenge to condense The Skull Ring novel into a workable screenplay? I majored in video production and developed several short films, so I have some visual training. The only real difference is that everything must be shown, so dialogue and action are the most critical tools. Really, just strip away all internal monologue, find the essential traits of the characters, and keep the story moving, all the while imagining that you are sitting in the theater. Writing scripts for both screenplays and comics is a good way to expand my craft. I guess I’m just intellectually restless, or maybe just trying to figure out what I want to do when I grow up. Your writing flows between horror, crime and mystery and thriller – which genre do you prefer to write in and why? Funny, when I first started writing fiction with the intention of a career, I wrote in multiple genres. Part of it was I figured my odds would be better if I sent to multiple magazines at the same time, so I was hitting horror, mystery, fantasy, science fiction, and literary fiction all at the same time. I never even thought of it as consciously charting a course. Horror seemed to sell the best, although it was probably because there were far more small-press markets in that genre. 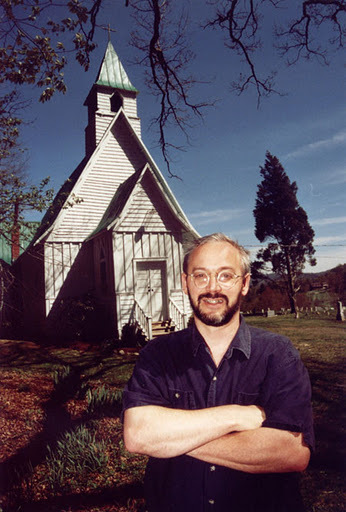 When I sold The Red Church, I had novel manuscripts in several genres but it made sense for the publisher to stick with supernatural horror, so I did that for five more books. But I was writing other books while those were coming out, and I’ve self-published those now. I expect I will keep writing different things as long as readers let me. Readers are my boss now. You’ve embraced the digital publishing age, releasing many of your books as e-books; what has the reaction been like? Wonderful. I am so grateful I was here when this historic moment in publishing happened. I fulfilled the only goal I ever had with my writing in that it is now my full-time job. Everything else is just gravy. Everybody talks about money and numbers in the indie discussion, but the real advantage is freedom to write what you need to write. I feel a spiritual, moral, and artistic obligation to write because I want to share my ideas and views. Now each book has a chance to meet the reader that needs it. Your own personal favourite tale and why? I like The Red Church as a novel, and my favorite short story is “The Vampire Shortstop,” which I’ve made available for free at Amazon, Barnes & Noble, and Smashwords. Those just feel like the easiest stories to write, so they are probably the easiest for readers to connect with. Ever written a story that hasn’t seen the light of day? I have some that haven’t been published, but I will probably collect them and publish them later this year. I do have a few boxes of stuff from my teen years, and in my former life as a musician, I probably wrote 500 songs. I guess my life has just been one long series of dreams and scribbles and doodles and dribbles. Not so bad, all in all. What advice would you give an emerging author? Oh, just write and don’t listen to writing advice or publishing advice or anybody who thinks they know anything. People who think they are “experienced” are probably the worst people to listen to, because conventional wisdom is worthless in the realm of dreams. In writing, convention is to fail. So why not be unconventional? Amazon is publishing Liquid Fear and Chronic Fear on Dec. 20, and I’m preparing for U.S. release of Creative Spirit at the end of December. I’m also working on a post-apocalyptic novel that should come out early next year. I’m currently working with translators to self-publish in multiple languages. I also have a couple of series I am writing with J.R. Rain and three or so more books to write next year. It’s a great time to be a lazy dreamer! Greg, thanks for featuring me and good luck in the Aussie market!